The trainee was employed to do engineering work, but was sent to a nuclear disaster zone, a Tokyo labor union said. 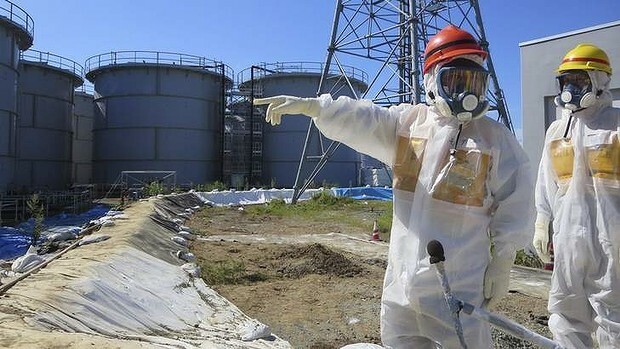 Japan is investigating allegations made by a young Vietnamese man who claims he was tricked into doing decontamination work in areas affected by the Fukushima nuclear disaster in 2011, media reports said. The Japanese Justice Ministry told the Japan Times that it is looking into the case of the 24-year-old who worked for a construction firm and is claiming compensation from his employer, the paper said on Wednesday. The Tokyo-based Zentoitsu Workers Union, which is representing the man, said he was supposed to be assigned to public engineering work, but was instead moved to cleanup work in contaminated areas in Fukushima Prefecture, which exposed him to radiation, the report said. He arrived in Japan in September 2015 under the government’s foreign trainee program. His construction company sent him to Fukushima Prefecture more than 10 times to decontaminate residential areas between October 2015 and March 2016, the union said. He also worked on dismantling buildings in an exclusion zone in Fukushima before authorities lifted restrictions on the area due to high levels of radiation. The man, who wishes to remain anonymous, said he was not informed he would be cleaning up areas contaminated after the Fukushima nuclear disaster, the Japan Times cited the union as saying. A major earthquake followed by a 15-meter tsunami disabled the power supply to three Fukushima Daiichi reactors on March 11, 2011, causing a nuclear accident with high radioactive releases that forced tens of thousands of people to flee from their homes. Only a small number of them have returned. Shiro Sasaki, general secretary of the union, told the paper that the man’s allegations suggest that he might have been deceived and brought to Japan to conduct cleanup work at the disaster zone. His employer might have abused the Labor Contract Act, Labor Standard Act and Industrial Safety and Health Act, he said. He said the man had received a monthly wage worth around $1,320, while Japanese workers conducting similar cleanup work earned nearly three times that. The man quit last November due to health concerns, and after the company ignored his requests for an explanation. The union is seeking compensation worth the payment he would have received if he had completed the rest of his three-year contract. In a Nikkei report on Tuesday, the company denied the man’s allegations, saying that he was assigned to duties that did not expose him to any health threats. The incident has sparked fury over Japan’s trainee program, which many said was designed to support foreign nationals in acquiring technical skills but has been exploited to make up for the shortage of unskilled workers in Japan. Japanese Minister for Reconstruction Masayoshi Yoshino said that “this is something outrageous and totally illegal." "If it’s proven true, legal action must be taken,” he told Xinhua on Wednesday.